Established in 1990, CANGZHOU RUITONG PIPELINE CO.,LTD Covers a land area of 50,000 square meters with a fixed asset of 100 million Yuan. For many years, it has been devoted to technical innovation and improvement of product quality. Thanks of the concerted efforts of all its employees; the company has made satisfactory achievement. It passed the ISO9001:2000 international quality system certification in 2004 and the API certification of the US in 2008. The main production equipments of our factory include: a 180 automatic pipe rolling line, 3 sets of hot rolling-piercing mills, 16 interactive double-rod cold-drawing machines and a number of automatic rotary pointer, straightening machines, water-free annealing furnaces and auxiliary production equipments for surface acid picking and coating etc. its physical and chemical bars can conduct various physical and chemical tests and experiments for steel pipes, and are equipped with eddy current flaw detectors, leakage fault detection and ultrasonic crack detectors etc. 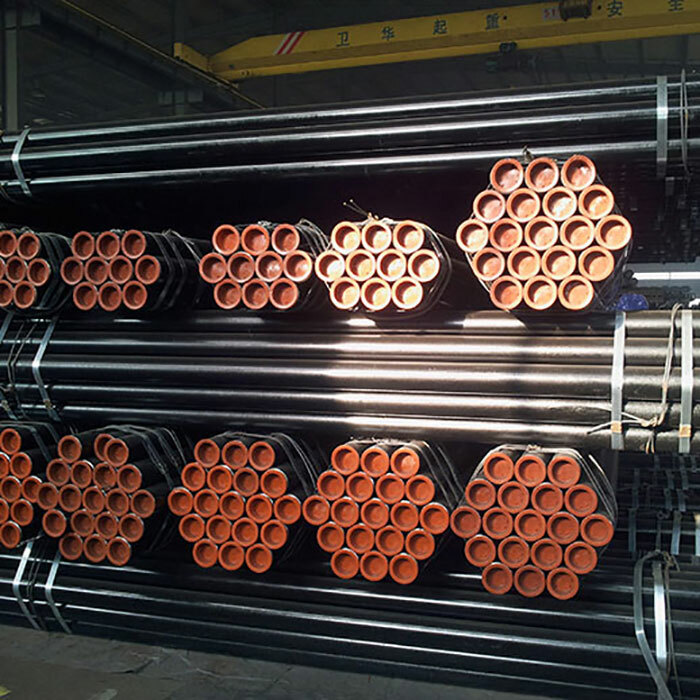 for high, medium and low pressure seamless steel pipe and petroleum casing pipes with a full range of inspection measures, capable to meet various standard test and inspection requirements for steel pipes.